First week of Workshop sessions. 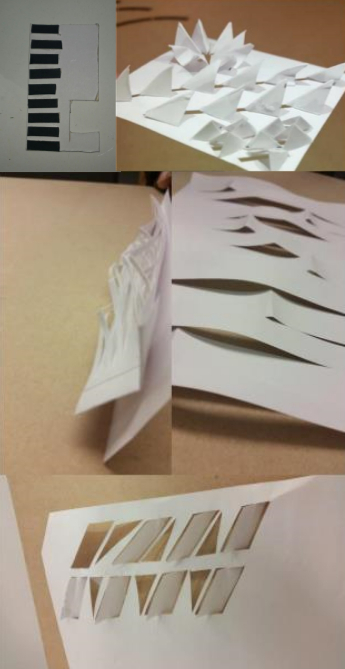 We racked our brains for ideas on how we could clad the Conservatoire building and we came up with these initial models. We focused on the subject of music and movement so that we could link the design of the cladding with what was going on in the building.